Revisiting Rudeness | Arts and Culture | Style Weekly - Richmond, VA local news, arts, and events. "The Man Who Came to Dinner" brings back the stylish boorishness of yore. As far as the plot, there's not much to describe. Whiteside is a major radio personality, lecturer, critic and raconteur. On a visit to Mesalina, Ohio, he slips on the ice and is forced to stay in the home of Mr. and Mrs. Ernest Stanley. He proceeds to make himself very comfortable indeed. When Maggie (Jill Bari Steinberg), his spunky Girl Friday, falls in love with a local newspaperman (Barry Ellenberger), Whiteside has no scruples whatsoever about attempting to subvert the romance. his performance a trifle too mannered. But that's probably because an older Monty Woolley made such an indelible impression as the character in the Hollywood version of the script. It doesn't help that the first act takes a little while to get going. It is certainly the weakest of the three. But after a while, Pabst seems to fill his lounging jackets (that always seem to match the Stanleys' rug) with more authority and confidence. Bruce Miller's expert direction creates a fantasy world of outlandish cartoonlike personalities. Kim Parkin's set design contributes to the effect. Though it's bourgeois enough to rub against Whiteside's effete sophistication, it also looks like the scenery that rolls through the backgrounds of Tom and Jerry cartoons. The secondary characters repeatedly steal the show. Joy Williams plays Nurse Preen with so many contortions, she appears to need a prune juice IV drip. Larry Cook vamps uncontrollably as the Noel Coward-like character, Beverly Carlton. And as an overripe stage actress, Susan Sanford is a scary combination of Tallulah Bankhead and Marge Simpson. And there's one final delight. Jeff Clevenger revs up the final minutes of the show as Banjo, a character loosely based on Harpo Marx. In fact, the play is an archaeological dig into the nature of the Algonquin Roundtable itself. Whiteside is based on Alexander Wolcott, the legendary crank at the center of the literary wits. There are numerous allusions to other historical figures of the times. If you don't enjoy the play itself, you can derive considerable satisfaction by simply picking out the references. Year after year, the people who run the Barksdale end the year with a play set during Christmastime. Because of the decorations, the distinctive Barksdale audience, and the Willow Lawn shoppers, the entire experience has an old-fashioned Richmond flavor. It's not the complete, undisputed restoration of the Miller & Rhoads Santa, but it's special nonetheless. 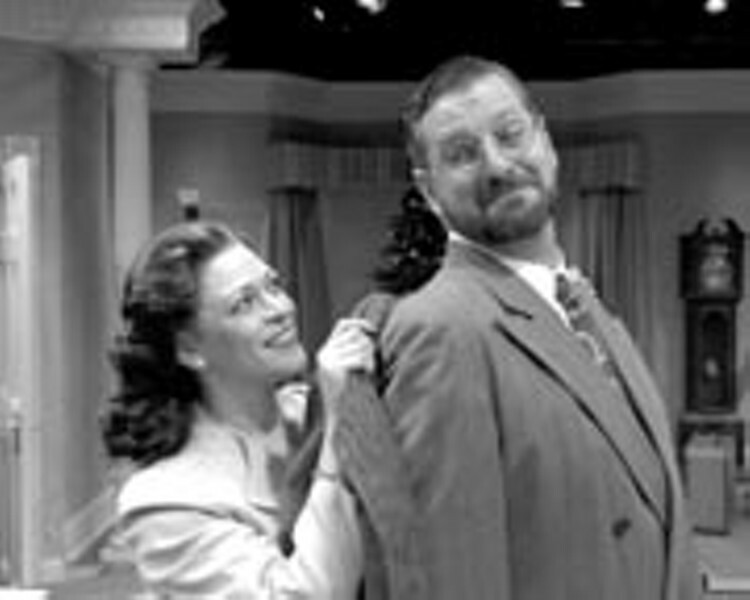 Continues through Jan. 16 at the Barksdale Theatre. Tickets cost $34-$38. Call 282-2620.